15th December P3-P6 singers and band performing Christmas songs in the patio 3pm-4pm. Student council will be selling drinks and Christmas snacks. 17th December P6 parents invited to ‘marketing’ end of unit presentation. 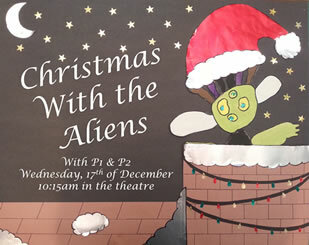 18th December Christmas Disco for P3-P6 4.00 -6.00pm in the theatre. 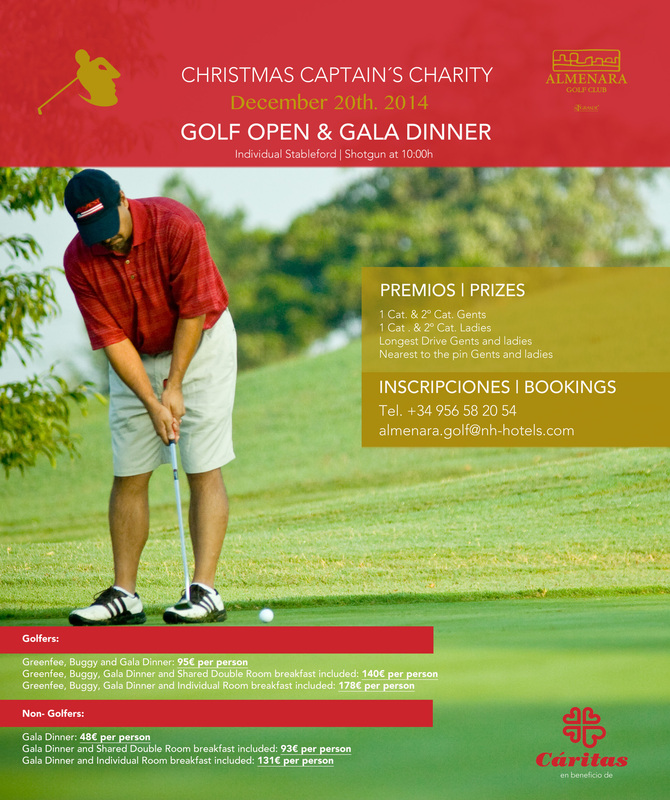 Ticket cost 5 Euros (includes a drink, snacks and prizes). This is part of a Personal Project and the money raised will go to the Kindred Project. I hope you have had a wonderful long weekend. At present we are full in a number of year groups and wish to plan effectively for next year, giving priority to you. Please be advised that the student photos are on sale in the reception before and after school. The photo pack includes the class/year group photo and one of the ‘SIS’ ariel views and of course the individual portraits, which make excellent Christmas presents for families both near and afar. Sincerest congratulations need to be passed to all of the students who were involved with the SIS theatre festival and to Christine Barling who organized the event. I was lucky enough to attend the show on Tuesday 9th December and saw the D1 perform a thought provoking portrayal of love and also an original monologue that incorporated film with live theatre. On Wednesday 10th we hosted a coffee morning for new SIS parents, thanks to all who attended. It was a great chance to get feedback on our admissions process and on how new parents are inducted into our school community so we can continue to improve these processes as we move forward. The ever-popular Choir tour began this week with a bunch of very excited students headed up by Kerry Wickersham visiting several local shopping centres to perform Christmas songs & carols and hopefully raise lots of money for Hogar Betania in La Linea. They completed an evening tour on Wednesday, toured all day on Thursday and today (Friday) they will be performing in Sotogrande church this evening at 7.00pm with a final performance on Sunday at 1.00pm approximately to round off the Santa Fun Run at The Hairy Lemon in Sotogrande port. If you are able to make it next week on Monday afternoon at 3.00pm P3-P6 students will be performing Christmas songs in the playground and the primary student council will be selling mince pies. There is lots of excitement in the primary first building as EC1, EC2, P1 and P2 students prepare for their Christmas productions next week. Our end-of-year assembly will take place on Friday 19th December next week. The staff have been preparing hard for this as a finale for the winter term and as in previous years, there will also be a children’s raffle with winners drawn that day. There are chances to win some fabulous prizes including a skateboard, a scooter, a drone, an iPod shuffle and some wireless headphones. Tickets, price €1 each, are already on sale. We are aiming to finish our assembly at 12pm and buses will be leaving school at 12.30pm. Please note this is an EARLY FINISH. We are very excited about the new PE kit for P3 – M5 students that has been developed by students and the PTA in association with Samurai. This can be purchased online (deadline is Monday 15th December), for a February delivery. I wish you a fabulous weekend in the run up to the holidays. Tickets are now on sale for the student raffle on the last day of term (Friday 19th December). Prizes include: skateboards, giant teddy, headphones, iPod, chocolates and many more. Cost is 1 Euro per ticket, available from primary and secondary student council members and from the library desk. Parents are invited to view the new Sports Kit and the sample sizes on Monday 15th December in the Cantina from 08.40 to 09.15 and from 15.30 to 16.15. Hopefully a sample skort will be arriving that day too! Please come along with any questions that you might have. We would ask you to please ensure your child’s clothing, particularly all items of school uniform are marked with a name. Some of the new uniform items e.g. the jumpers come with a sewn-in label especially for this purpose, but for all those other items perhaps consider investing in some customized labels from HFG Labeling Services. We don’t want you to lose that new PE kit! Thank you to all the people who came to the recent SIS December Theatre Festival. It is always good to be able to provide a platform for our Drama students to experiment and exhibit their creative work, and even better when we have such a supportive audience. Thank you also to all talented and committed students who gave up their time to rehearse for these enjoyable performances. Earth, Wind, Air and Fire… which type of communicator are you? The Parent Ambassador 2015 programme kicked off with Colin Hiles persuading us to delve into our personality styles & explore how we interact with our children and people around us. Part of the Parent Ambassador learning journey is to acknowledge how we all communicate in our differing ways and to mirror the learning experience of our students. We were delighted to welcome a large group of enthusiastic parents along with staff and Parent Ambassadors 2014. Many new parents of 2014 attended a coffee morning this week, where they were invited to share their experiences as new SIS parents. We were delighted with the feedback offered, which will help us improve the welcome and admissions process. On Thursday evening Andrea Bennett, Emma Butler, Eli Halter and Ana Maria Cazorla visited Baby Planet Nursery in Algeciras where Andrea lead an interactive and informative workshop on children’s brains and brain development. Last Thursday P5 had an enlightening field trip to Gibraltar to explore and learn about different cultures. During the day the students visited the Hindu Temple, the Catholic Cathedral, an Orthodox Jewish Synagogue and the Muslim Mosque. After a brisk walk amongst the Christmas shoppers, P5 found themselves in the calm of the Hindu Temple. All the students were very respectful and inquisitive. They discovered that Hindus respect other religions and believe that we all have the same God but we ‘look through different windows’ at His light. Next they visited the beautiful Cathedral with its stained glass windows and ancient artifacts. From there, they walked to the Jewish Synagogue where they had a fascinating question and answer session with their guide. We found, that there were many similarities in the beliefs of the Hindus and the Jews and a wealth of symbolism. After lunch they made their last visit of the day to the Mosque. Once again they learned about and made connections between similar rituals and traditions among major religions. This is a great trip and has given the students a lot to think about. This week the Primary Student Council have been busy collecting books for the recycling scheme. This initiative will benefit you by providing a good option for disposing of no longer wanted books; will benefit school and library resources with the addition of any appropriate resources and ultimately will result in a cash benefit for the Kindred Project. Donations of sponsorship money from October’s Readathon continued to trickle in throughout November, resulting in a final total this year of €1095. Most of this amount has now been forwarded via the Kindred Project to enable the purchase of furniture and equipment for the new classroom, which has recently been added to the Nabugabo school in Uganda; the remainder will be added to the amount being raised by other school activities to help the Hogar Betania centre in La Linea. 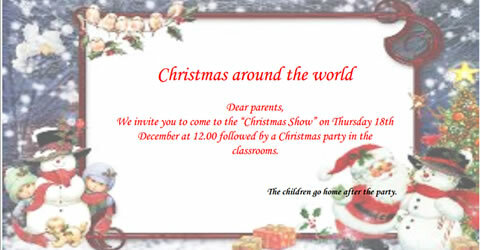 Come and join in the Christmas spirit! If you missed these students’ performance at the Christmas Bazaar, you have another chance to see them and many others. 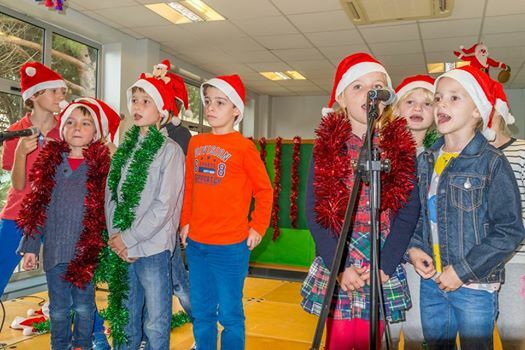 P3-P6 will be performing a selection of Christmas songs on Monday 15th December from 3pm-4pm in the patio outside the Primary buildings. The student council will also be selling mince pies and decorations at this time. Come and join in with the Christmas cheer and celebrate the best time of the year! The preparations for EC1/ EC2 and P1/P2 end of year productions, Christmas Around The World and Christmas With The Aliens are well underway. The children are looking forward to their big days next week. Good luck to all involved! On Thursday P3 students and the Primary Spanish Team spent the morning at our Fundamentals Nursery, where our students performed a fantastic play for the nursery children. It was great to see our P3 students communicating and performing so confidently in Spanish. There will be a repeat performance of this for parents to enjoy on Monday 15th at 2.30pm in the patio outside primary building. On Thursday evening the D2 Students were privileged to have the opportunity to interact with seven professionals, who came to give their insights into the demands and requirements of pursuing their individual career paths. Our speakers presented and took questions from the students on preparing for University, presenting themselves online, formal interview preparation situations and many more useful ideas and hints for our students to take away with them. Some of the key ideas that our cohort will be developing following the workshop will be their interview techniques and the role of LinkedIn as a professional platform. I will be building on this platform in further career workshops with our students and raising the importance of students’ online digital footprint. Some of the feedback received from students pointed out how useful it was, “to have speakers who aren’t just talking about the theoretics of interviews and jobs, etc., but who are actually in charge of reading the applications. It was interesting to hear about their career paths and how they’ve changed throughout the years“. Others commented that ” it was fruitful for the students.” and that “it was very interesting“. Thanks goes to the presenters, Tracy Newton Blows, Paul Derry, Mike Nichols, Antonio Gomez, Esther Pena Salas, Saul Knapp and Wendy Moody for helping me coordinate the event. As an extension of the Drama curriculum offered at SIS we are presenting the exciting opportunity of offering SIS students an examination with LAMDA (The London Academy of Dramatic Arts). LAMDA began offering speech examinations to the public in 1880s. Since then, these examinations have been refined and developed into a comprehensive system of performance evaluation by experts in education, acting and communication. Students from M5-D2 will be involved in taking LAMDA acting examinations on Tuesday the 16th of December. SIGA to conquer again the Doral Publix in Miami.SIGA players, Sergi Pujol, Tommaso Giancaterino, Claudia Alnajim, Carlota Bascuas, Laurentino Gil, Carlos Pérez, Alejandro Néstares, Callum Ritchie and Anastasia Bakal, together with Juan Antonio Marín, director of SIGA academy, will be travelling to Miami to compete in the Doral Publix International. The Doral is recognized as the most important junior worldwide tournament with up to 690 players representing more than 45 countries. This year we hope for similar triumphs!